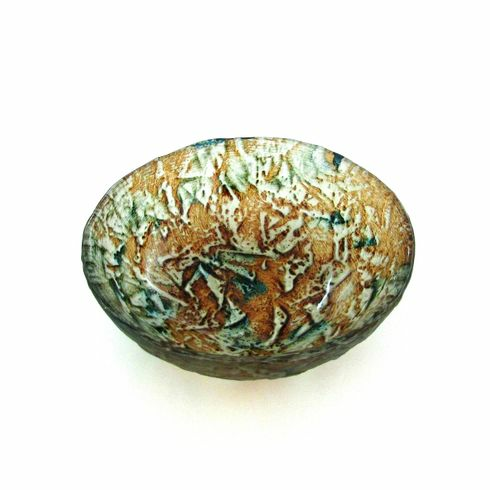 You can use this piece of art bowl as a decor piece on your coffee table, coin bowl, jewellery bowl or even a soap dish in your bath. You can also serve small bites of food as dessert, appetizers, cheese etc... in this bowl to decorate your table at your dinner party. Good size to use as a nuts bowl or personal tasting dishes as well. You can also use as a candle plate for your pillars. As you are serving food to eat best with your fingers; try to pour in some water, fresh flower petals, a little cologne and lemon juice to serve for each of your guests to clean their fingers after the dinner party.